During the historic swearing in of America's 45th president Donald Trump, British Broadcasting Corporation (BBC) had a bit of uncharacteristic fun. 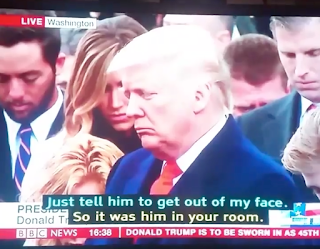 Live footage from the inauguration was broadcast on the BBC News channel, spanning the beginning religious ceremony to President Trump's unusual speech. The closed captions for Trump's speech did not effectively communicate the severity in his words. In ironic contrast, the subtitles displayed were pulled from children's television show, The Dumping Ground. The award-winning CBBC programme is a children's drama following the lives of its characters. At first the subtitles were believed to originate from EastEnders, a British soap opera. 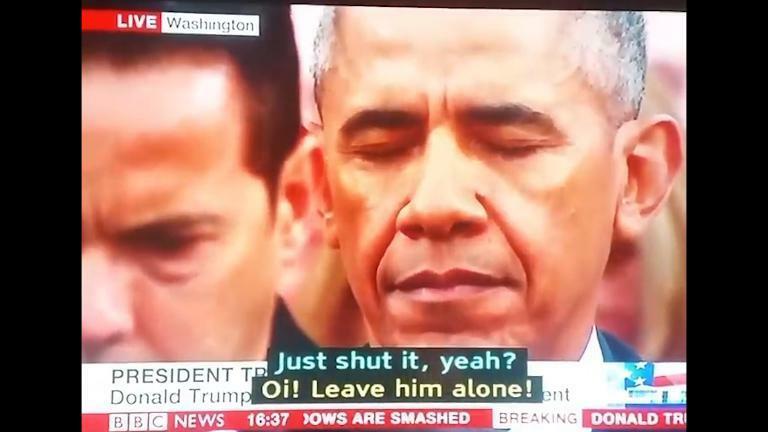 On 20 January, Twitter user @Kaytality uploaded her footage showing the confusing subtitles in all their glory. 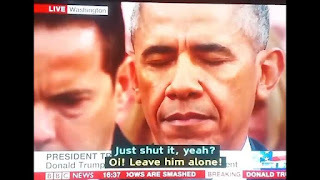 As seen in Kayleigh Smirk's post, the erroneous subtitles were shown as Trump and Barack Obama listened to Timothy Cardinal Dolan's delivering prayer. In response to the sudden fame, Smirk of Southampton told BuzzFeed, "The reaction has been insane, my notifications have pretty much melted at this point. But I'm really glad it seems to have cheered people up regardless!" @Kaytality @ohheyohhihello Because it's the BBC, you'll never know if it was an error, or satire. The Brits are clever like that. @Kaytality @withfilesfrom we're pretty much watching an absurdist fiction. Might as well leave the wrong subtitles. "Look, if you ain't seen Sasha, just do one, yeah? No-one wants you here." "You're only in a mood because Mo's gone." "Just tell him to get out of my face." "So it was him in your room." "You can't come here outside of contact, or Mum will get into trouble. Is that what you want? Or for her and Kev to be a family? With you and Murphy and the baby. And me." "Stop playing around with Bailey and go home." 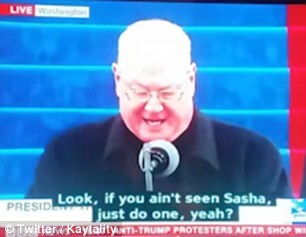 In response to the hilarity, the BBC respectfully bustled its skirts, saying, "We have not found any evidence or had other feedback from viewers that our main output covering the inauguration was subtitled incorrectly. "The broadcasting conglomerate is currently investigating the issue to see if the error was, in fact, localised. Speculation on Twitter seems to attribute the problem to Smirk's television wires being crossed.